performance. I wasn't disappointed! It was a great night and it was an awesome fireworks display. 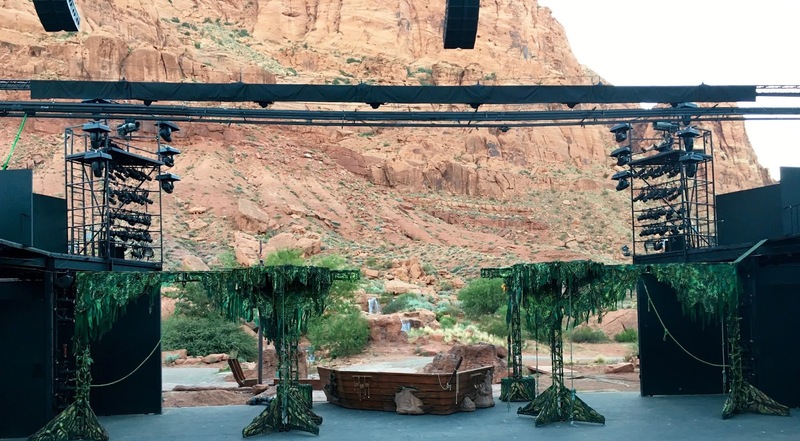 Tuacahn's performances each season are always top notch. Tarzan was captivating and mesmerizing. The costumes were incredible, the actors were full of talent and the special effects were impressive. If you haven't seen Tarzan yet be sure that you get there before it is over in October. The other two shows that Tuacahn is performing this season are Peter Pan and The Hunchback of Notre Dame.